It is no less then a dream come true to buy an iPhone. Once a user buys an iPhone, he expects he faces no problem as they are believed to be made of high quality material. If one has enough money, he would not think second time before buying an iPhone. Most of the time apple users do not face any problem. But here is a issue which most of the users face i.e. iPhone stuck at Apple logo. But suppose your first ever iPhone suddenly restarts itself and you think it may be OK but after sometime you observe that it is getting much longer then usual. And then fast breathing starts when you notice that your iPhone stuck at Apple logo, gets blank black screen and starts again and all these things follow again. You may find many websites out there with solution to this problem as it is a common issue but here we will tell you why you might be getting this problem and various solutions on How to Fix iPhone stuck on Apple Logo screen. Is it just a software glitch or something serious has happened with your iPhone? Let’s find out below. Reasons For iPhone Stuck On Apple Logo. Following are 5 Methods To Fix iPhone Stuck On iPhone. Method 2:- By DFU mode. Method 3:- Resetting Your iPhone To Factory Data settings. 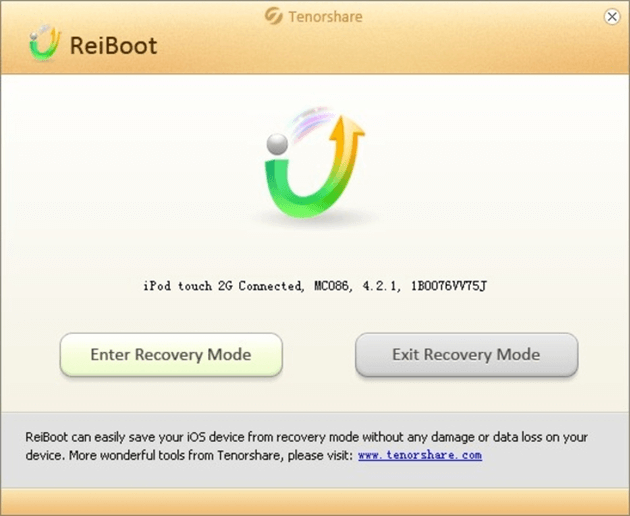 Method 4:- Using Tenorshare ReiBoot. Method 5:- Using Switch On Method. 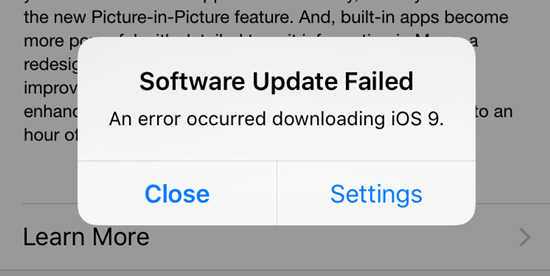 When you update your iPhone using iTunes, it may restart which is a normal thing while updating as iOs, but here is the thing which may cause the error. When your iPhone restarts it gets switched off and your PC says device has been unplugged and when it starts again your PC says a device has been plugged in, then your antivirus kicks in and says I want to scan this device. Due to this data transfer stops between iTunes and iPhone which leds to corruption of iOS update. Much of the times a message in iPhone pops up and says to connect to iTunes for continuing updating your iPhone. Other times you face the problem of your iPhone getting stuck at Apple logo. Many of the time it occurs when you try to jailbreak your iPhone without proper knowledge. As Apple opposes jailbreaking of your iPhone, you would not be able to getting your iPhone repaired from Apple stores. Before jailbreaking user has to take backup of his file, when user is restoring his data it has very chances of getting your backed up data corrupted. Running an app from unknown source and untrusted developer sometimes becomes reason of getting your iOs corrupted and you see iPhone stuck on Apple logo. This is the simplest method you can try, however it doesn’t works all of the times. In this method you have to do as follows. Hold the Home and power button together until you see Apple icon disappear and appear again. DFU stands for Default firmware Update. By putting your iPhone in this mode is yet another way to fix your iPhone stuck on Apple Logo. Follow following steps to try this method. Connect your iPhone to computer via USB cable. Make sure iTunes is installed on that computer. Now you need to press and hold Power and Home button, after 10-15 seconds release hold of Power button but keep Home button pressed. Keep Home button pressed till iTunes pops up saying that it has detected an iPhone in DFU mode. This will reset and restore the firmware completely. Note– There are high chances of your Data being lost in this process. So if you had taken backup of your data then you are safe otherwise you have to suffer the loss. This is another method which can help fix iPhone stuck on Apple logo but will delete all of your data. Following are the steps that you need to follow. Make sure latest version of iTunes is installed in your computer. Be ready by inserting USB cable in iPhone. Now press and hold Home button, as soon as you press Home button insert other end of USB cable in USB port in computer. Now iTunes should automatically start and detect your iPhone and your iPhone is kept at Recovery mode. This method will restore the iPhone to factory settings. You can Restore if you have backed up your data. Firstly download the software for Windows by clicking on download button below. For downloading the software for Mac, Click here. Open the software from location where it is installed. Click on Exit recovery mode. This method works most of the times by making your iPhone a fully functionable once again. 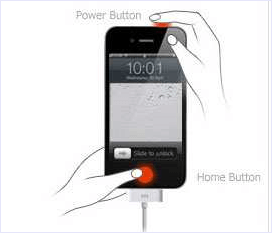 In this method firstly switch off your iPhone by holding Home and Power button. Once the iPhone switches off, you can turn back the iPhone by holding the power button and volume up button simultaneously. When the iPhone reaches boots to the logo screen, you can leave the power button. But make sure that you are still holding the volume up button. This method might take a little time, but this will work mostly. Hence, If all these methods fail to fix your iPhone stuck on Apple logo, then it might be the time to take your iPhone to Apple store or to some other shop in case you tried to jailbreak the iPhone. Any of the above written method should work and try them by inserting USB cable in different USB ports if a port fails to detect your iPhone. Let us know which one of the method worked for you in comments section below.